Life is good in Tuscany! 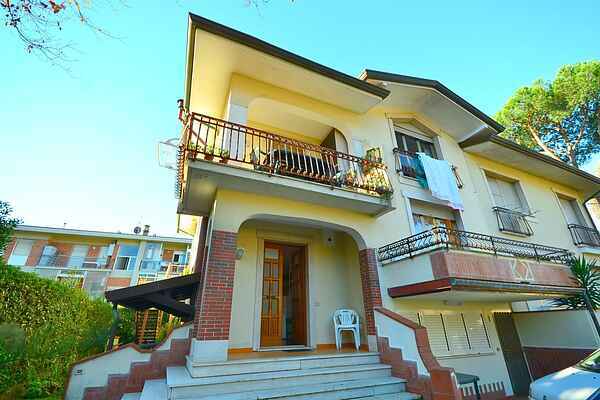 The sea with a nice sandy beach is at just 600 meters from this apartment in Marina di Massa! The apartment has a small garden at the back. At the front side you have a balcony which provides a beautiful view of the surroundings. Via a few steps you reach the entrance. The house is neat and tastefully decorated and has all modern conveniences. The holiday home is situated in a beautiful cycling environment. At 150 m will find a bank, bakery and a supermarket for groceries. Enjoy tasty fresh fish in one of the restaurants in the center of Marina di Massa. Besides the beach life, an afternoon in the nearby Carrara (13 km) is also very nice. This town is inextricably linked to its snow white marble, world famous since the time of the Romans. The city center has great atmosphere and there are of course many beautiful marble facades. For lovers of marble, there is a museum dedicated to marble here. There is WIFI available, but please specify in advance when booking. The WIFI cubes have a max. of 100 MB per day. Sufficient for whatsapp, internet and email but not enough to download, watch movies, youtube etc. Also take a day to visit (one of) the famous cities of Lucca (30 km), Pisa (40 km) and Florence (100 km)! Next to the many impressive buildings, there are also numerous plazas and restaurants.